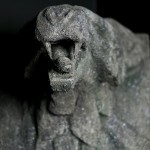 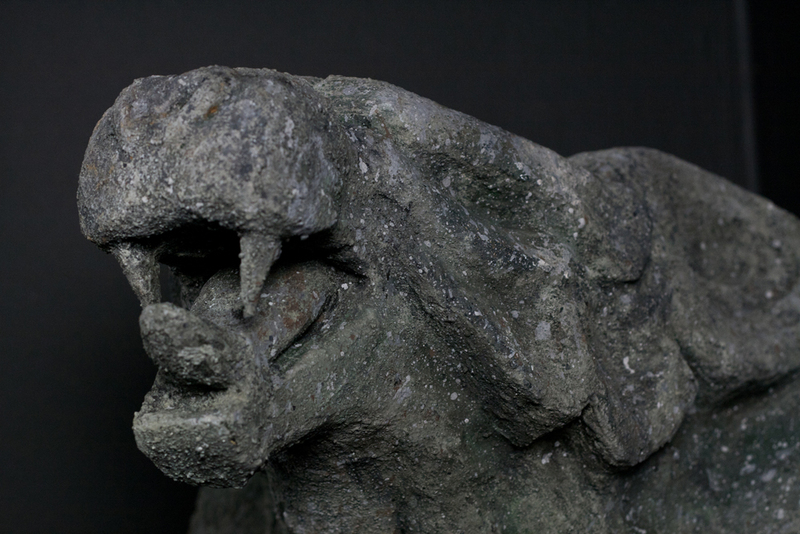 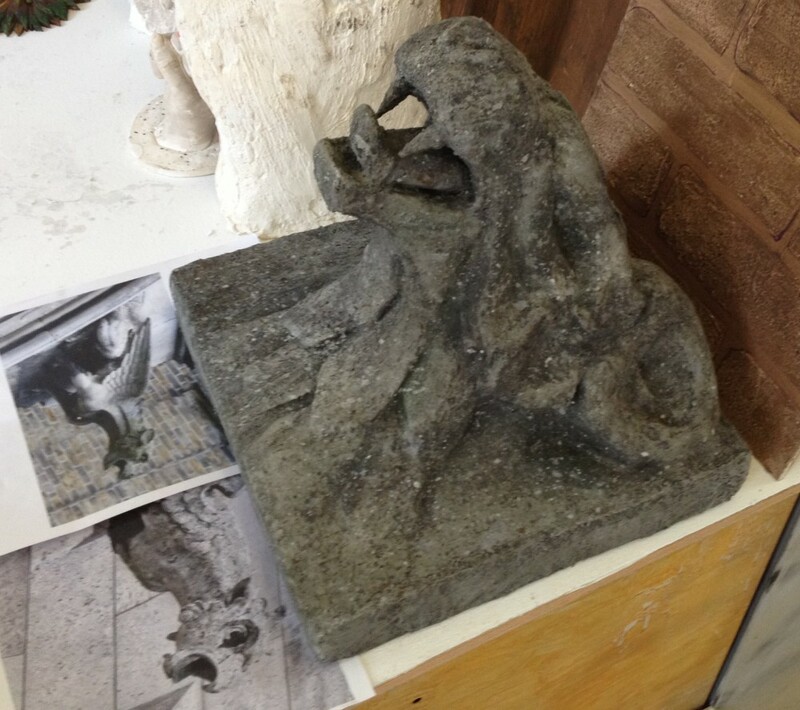 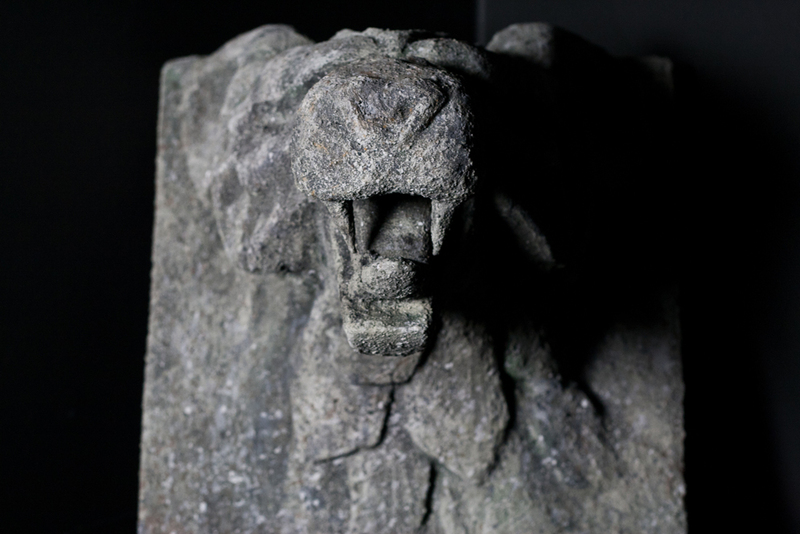 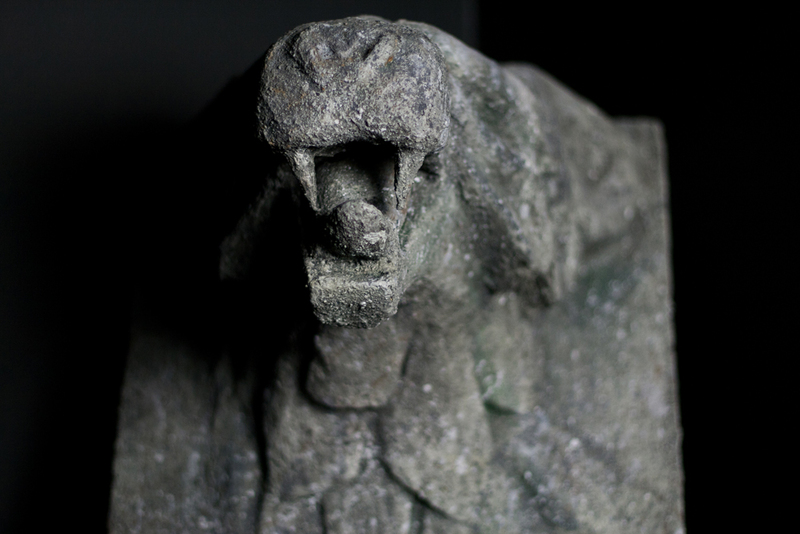 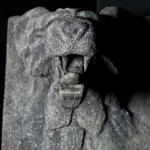 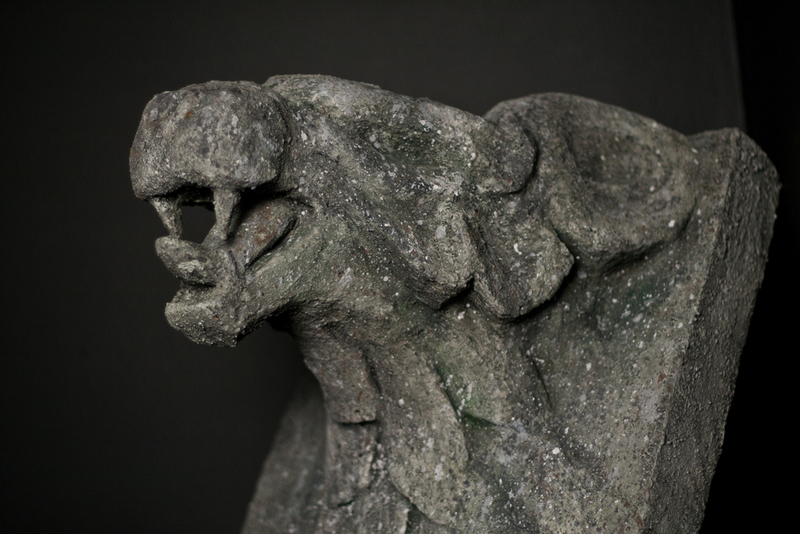 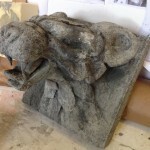 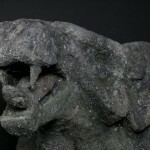 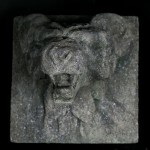 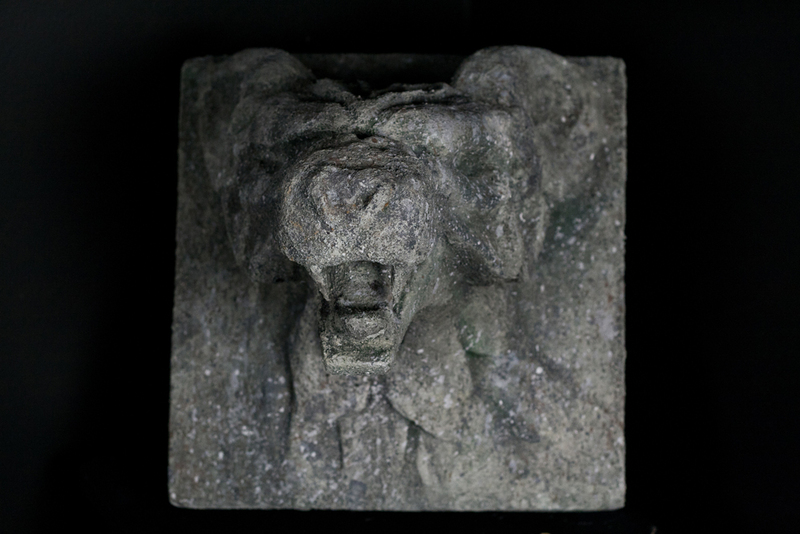 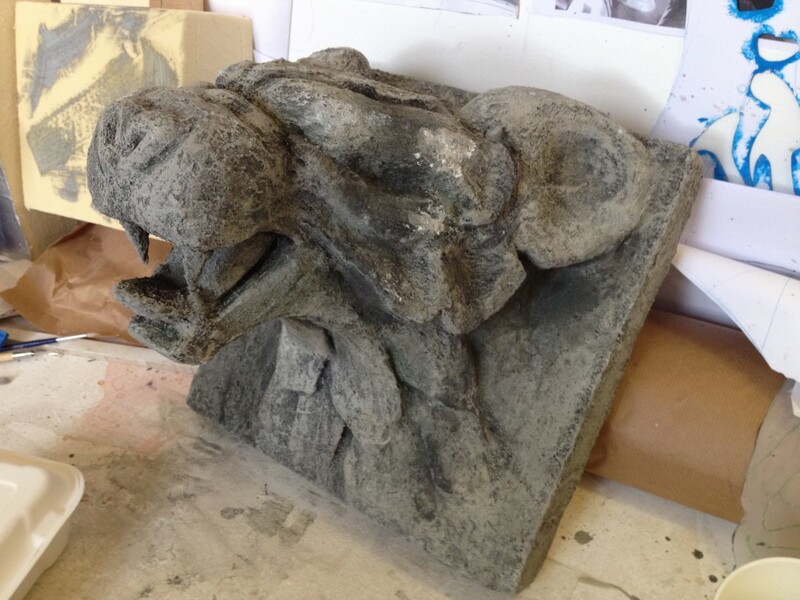 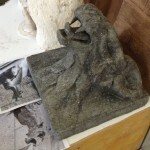 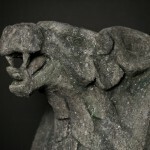 A gargoyle made from polystyrene. 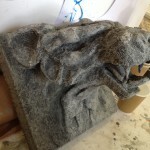 Carved out of a solid block of polystyrene, then covered with PVA glue and scrimming, texturised with idenden and building sand. 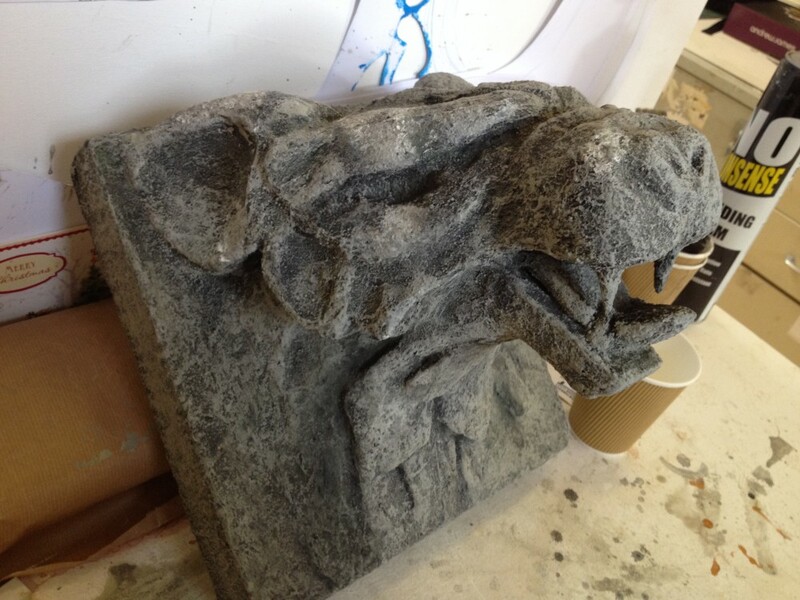 Then painted with acrylics to look like weathered stone.